Many people who are unhappy with their nose shape, whether this is due to damage to the nose, a previously botched rhinoplasty, or the nose’s natural shape, would like to have rhinoplasty surgery performed to correct their nose, but think that surgery won’t be able to help them. The reality is that rhinoplasty is an individualized procedure that can help with all kinds of displeasing nose shapes. Let’s examine some common nose shapes and the common nose surgeries that can alter them. This is cause for one of the most common nose surgeries. Some people are self-conscious because they feel that their nose is overly large or long in comparison to the rest of their face. This can make the face seem out of proportion and draw attention away from other, favorite or particularly attractive facial features, such as beautiful eyes or a warm and pleasant smile. 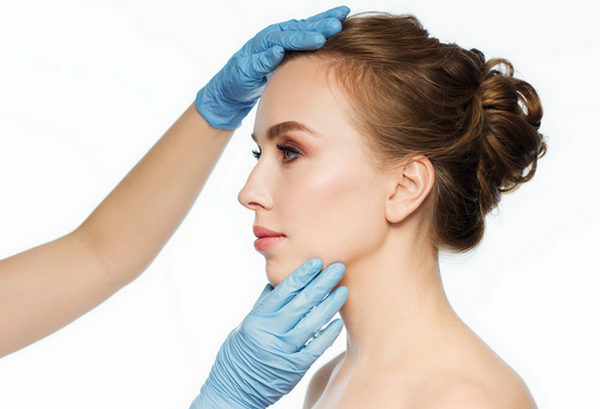 Because decreasing the size of the nose requires modifications to the entire nose to achieve pleasant and attractive results, this kind of rhinoplasty can be rather complex. However, the final results are worth it, as they give the face a beautiful, proportional appearance that shows of all your best features, rather than just your nose. A bulbous nasal tip is another common nose shape, especially among men, that many people have corrected with nose reshaping surgery. A bulbous tip may droop, protrude, or simply appear out of proportion with the rest of the nose, as well as the face overall. A bulbous nasal tip can be corrected with the use of broad nasal tip, or tip refinement, rhinoplasty. Because the nasal tip is out of proportion with the rest of the nose, broad nasal tip surgery generally only requires modification to the tip of the nose, causing healing to be quicker and easier with this type of surgery than with other, more comprehensive rhinoplasties. People can have bumps on their nose naturally, but they are also commonly the result of previous trauma and damage to the nose. Bumps can vary in size from barely noticeable to very eye catching. Some people want to keep traces of their bump to retain character or ethnic or family features, while others want their bump reduced entirely, leaving a smooth and straight nose. Either way, you can achieve beautiful results, but it’s important to communicate your preferences to your surgeon to make sure that you get the results you want. Remember that it can take up to a year for swelling to completely reduce after a rhinoplasty procedure, so don’t be immediately concerned if your nose still appears to have a bump or a larger bump than you’d like, as this may simply be lingering swelling. If you’re still not happy with your results after a year then contact your plastic surgeon. As with a bumped nose, a crooked or asymmetrical nose may be due to genetics or to damage experienced by the nose. This generally requires a comprehensive rhinoplasty to give the entire nose a straight and proportional appearance. In some cases, a nose that becomes crooked after trauma may also have internal problems as well, requiring a medical rhinoplasty, or septoplasty, but doing so can help improve your breathing and save you medical problems later that could result if left untreated. Performing septoplasty at the same time as cosmetic nasal surgery can also help you save money, as insurance will often pay for parts of the procedure that are medically necessary. An overly pointy nose is generally due to excess or projecting cartilage at the tip of the nose. Fortunately, this is usually very easily resolved by reducing the amount of cartilage at the nasal tip, and perhaps some reshaping to help create a softer, more rounded appearance. In turn, reshaping the nose this way can give the face overall a softer and more balanced appearance. Like with nasal surgery for a bulbous nasal tip, resolving too pointy of a nose typically requires rhinoplasty that is less invasive than in many other cases, so healing may be quicker and easier for patients who receive this type of surgery. However, in some cases your plastic surgeon may suggest modification of the bridge or nostrils as well to ensure that your nose retains symmetry and proper proportions after your surgery. Some people feel that the bridge of their nose is displeasing, broad or flat. The variety of rhinoplasty most commonly used to correct this type of nose is augmentation rhinoplasty. Augmentation rhinoplasty can correct a wide or flat bridge by narrowing and adding volume to the bridge, perhaps through the use of implants, or by adjusting the size and shape of the tip of the nose to make the nose more proportional and well-shaped as a whole. For more dramatic case, both may be required. Dr. William J. Binder is one of the world’s leading rhinoplasty experts. To learn about the most uncommon and common nose surgeries, contact Dr. Binder’s office today.